CAP Barbell HHA-CB010A1-10 lb Pair Adjustable Ankle Weights can effectively tone and shape your muscles. The added resistance will build stamina and give you your legs an overall toned look. Weights are adjustable and can be worn anywhere! Add or remove weight without taking them off. 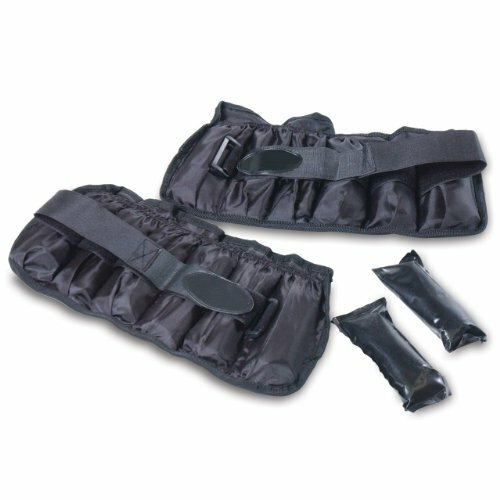 These ankle weights have external pockets, so you can adjust the weight to suit your needs. Adjustable Velcro closures ensure a secure fit. One size fits most. Removable weights included. Warning: This product contains one or more phthalate chemicals known to the state of California to cause birth defects and other reproductive harm. Consumer may return the product for a full refund, including shipping cost for both receipt and return of the product within 15 days of his or her receipt. View More In Ankle Weights. If you have any questions about this product by CAP Barbell, contact us by completing and submitting the form below. If you are looking for a specif part number, please include it with your message.